^ 1.0 1.1 1.2 Jerzy Jan Lerski, Piotr Wróbel, Richard J. Kozicki. Historical Dictionary of Poland, 966-1945. Greenwood Publishing. 1996年: 第415页. ^ Short history of the 拉齐维乌家族 互联网档案馆的存檔，存档日期2006-12-31. ^ Architectural, Residential and Cultural Complex of the Radziwill Family at Nesvizh. United Nations Educational, Scientific and Cultural Organization. [2009-06-16]. ^ 5.0 5.1 Stone, Daniel. The Polish-Lithuanian state, 1386-1795. University of Washington Press. 2001: 52. 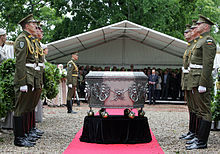 ^ 6.0 6.1 6.2 6.3 6.4 6.5 6.6 Mackiewicz, Stanisław. Dom Radziwiłłów.. Warszawa: Czytelnik. 1990. ISBN 8307019710. ^ 8.0 8.1 Rimša, Edmundas. The Heraldry of Lithuania, Volume 1.. Vilnius: Baltos Lankos. 1998: 35. ISBN 9986861349. ^ Krasinski, Valerian. Sketch of the Religious History of the Slavonic Nations. Johnstone and Hunter. 1851: 153. ^ The American Quarterly Register, Volume 4. American Education Society. 1832: 111. ^ Cyclopaedia of Biblical, Theological, and Ecclesiastical Literature, Volume 8. Harper & Brothers. 1889年: 339. ^ History of Birzai. Birzai District Municipality. [2009-10-18]. ^ Archaeological Site in Dubingiai. The Castle Research Center „Lietuvos pilys“. [2009-10-19]. ^ Radvilos Palace. Lithuanian Art Museum. [2009-10-20]. （原始内容存档于2010年11月15日）. Jędruch, Jacek. Constitutions, Elections and Legislatures of Poland 1493–1993: A Guide to Their History. New York: Hippocrene Books, 1998. ISBN 0-7818-0637-2. Jankauskas, R. Identification of Radvilos (Radziwill) family (16–17th C.C.) burial in former Dubingiai castle, Lithuania. Forensic Science International, Volume 169, Issue null, Pages S48-S48. Kozłowski, Eligiusz and Maria M. Radziwiłł Potocka. Z Moich Wspomnień: Pamiętnik. London: Veritas Foundation Publication Centre, 1983. Kubilius, Jonas. A Short History of Vilnius University. Vilnius: Mokslas, 1979. Lubamersky, Lynn. Women in family politics: the Radziwiłł family of Zdzięcioł in the history of the Polish-Lithuanian commonwealth, 1733-1763. Bloomington: Indiana University, 1998. Lubamersky, Lynn. 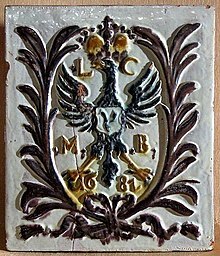 National Self-Perception Among the Lithuanian Nobility: Evidence from the Radziwiłł family. Journal of Baltic Studies, 2001.